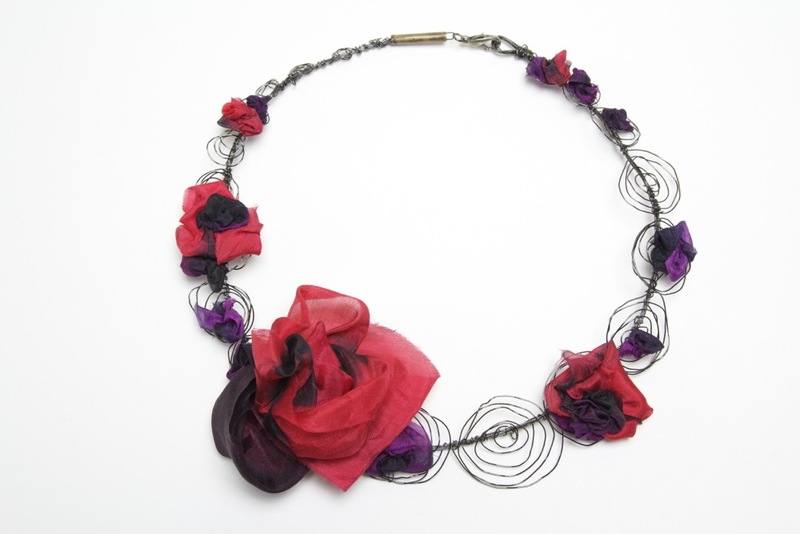 Collaboration Necklace by Textile Artist Jen Pleadwell and Metal Artist Patsy Kay Kolesar. I made the metal part of the necklace from iron binding wire, it is one continuous piece of wire and has been coated with black nickel. The flower’s are made by Jen Pleadwell. She hand dyes silk to create the vivid colours and then sews them into little rosettes. The flowers were then hand sewn onto the metal.